The article “Russia Cannot Be Understand by Labor” (Ogonyok 3, 2017), which dealt with low workforce productivity in Russia, struck a huge chord with readers. Serious academics responded to it, including Grigory Hanin, a professor at RANEPA’s Siberian Institute of Management, and Dmitry Fomin, an assistant professor at the Novosibirsk State University of Economics and Management. They are convinced the official figures on which both government agencies and the authors of the above-mentioned article rely do not jibe with reality. “Your magazine has been promptly sounding the alarm as to Russia’s lagging behind in terms of workforce productivity. Your focus on the obsolescence of Russia’s production facilities is also justified. But the stance adopted by the authors is weakened when they rely on figures from Rosstat, which embellish the real state of the economy, as the Soviet Central Statistical Directorate (TsSU) used to do. We have produced alternative estimates of macroeconomic indicators for the Soviet Union since the early 1970s and now for the Russian Federation, based on a number of more reliable figures from Soviet and Russian statistics. We have been able to refine Rosstat’s estimates. The gap in workforce productivity between Russia and the developed countries is greatly underestimated in the article. If instead of the quite dubious cost data cited there, you use the genuine data, you find a gap of five to seven times or more, sometime as much as ten times. Ogonyok asked one of the letter’s authors, Grigory Hanin, to explain what was wrong with the statistics cited by everyone from government agencies to ordinary people. What is the difference between the official figures and your estimates of Russia’s macroeconomic indicators? According to the longitudinal research Dmitry Fomin and I have been doing, Russia’s GDP has not grown by 13.4% from 1992 to 2015, as Rosstat claims, but has decreased by 10.2%. During the same period, Russia’s workforce productivity has fallen by 30.1% instead of having grown by 9.2%, as the official figures claim. Basic fixed assets (buildings and plant, machinery, machine tools, and other assets involved in production) have decreased by 29.2% in terms of their full book value, although the official figures claim they have increased by 50.9%. The official figures deal with basic fixed assets incorrectly. We are talking about physical capital, a vital economic resource. Along with human capital, it defines the level of economic development and shapes GDP’s performance and value and other macroeconomic indicators. No other indicator has been distorted as much in statistics in the Soviet Union and Russia as this one. It is a fairly complicated indicator. Many countries have problems with it, even the World Bank, which does its estimates based on the official data submitted by each country, including Rosstat. How important is the erroneous estimate of fixed assets? First of all, when there is inflation, which there has almost always been in the Soviet Union and Russian Federation, the underestimation of fixed assets has always led to exaggerating their performance, since old and new assets are valued in terms of different rubles: old assets in terms oof expensive rubles, and new assets in terms of cheap rubles. All of this impacts the underestimation of the value of depreciation and production costs. Consequently, profits are exaggerated. Meaning, we cannot get a fix on the real state of the Russian economy? It’s a problem that has been dragging on since the late 1920s, when assets were, according to my calculations, undervalued by almost half. Consequently, resources spent on refurbishing the assets were not take into account, nor was the increase in production costs. In the 1930s and 1940s, the underestimation continued to grown, despite reevaluations in certain sectors. Only in 1960 was a general reevaluation of fixed assets carried out, but it was chockablock with mistakes. Afterwards, due to ongoing inflation, the error in calculating the value of fixed assets continued to grow. By the late 1980s, it had grown by four and a half times. By 2015, the fixed assets were underestimated by 7.3 times, according to our calculations. In the Soviet economy, all cost data that reflected productivity and national income growth, including the value of fixed assets, were distorted. Soviet production figures given in physical terms (tons, units, etc.) can be considered more or less reliable, because the central planning process was based on them. But the problem persisted when we switched to a market economy in the 1990s? In the early 1990s, Russian statistics switched to international standards. We seemingly had rid ourselves of the shortcomings of Soviet statistics, but new ones emerged. Several attempts were made in the 1990s to reevaluate fixed assets, but the official figures on the trends in fixed assets still turned out wrong. What is your estimate of the scale of the disaster? It was only this year we finished a full year-by-year estimate of the performance of fixed assets from 1991 to 2015. I have to confess the outcome was surprising. I should emphasize from the outset that our calculation does not claim to be totally precise. (There is no such animal in macroeconomic statistics.) But we are confident of its objectivity. So, the volume of fixed assets in terms of depreciation had decreased approximately twofold by 2015 compared to 1991. [This figure differs from the total book value, which is based on the original cost of the assets, to which upgrading costs have been added — Ogonyok.] This is much more than the damage incurred by the Great Patriotic War [i.e., WWII]. The decrease then amounted to 33.5%. Here is another figure. The Russian economy has lost a total of 422.5 trillion rubles in fixed assets, taking into account their depreciation over the last 25 years. This sum is equal to Russia’s GDP for the last five years. The reduction of fixed assets has occurred because capital investment during the post-Soviet period has been less than the scale of asset retirement. Rosstat, however, does not take this into account attempting to persuade us the reverse is true: that physical capital has increased by 51% since 1991. This radically alters how we evaluate the economy’s profitability, because it dramatically increases the costs of depreciating fixed assets. According to our estimates, in the early 2000s, their overestimation led to huge losses for the major manufacturing industries, while the commercial services sectors were highly profitable. Guided by official data on income, however, the tax authorities collected taxes mainly from the loss-making manufacturing sectors, thus exacerbating their financial difficulties, while exacting a minimum of taxes from the service industries. How does the Russian economy look nowadays? Let’s begin with the fact that half the fixed assets are left. I should note they are used better now in certain industries where the market economy has had a positive effect. The greatest reduction of fixed assets has occurred in manufacturing, but they have grown in the commercial services sector. At the same time, we have two industries that were almost wholly revived by foreign capital, beer brewing and confectioneries manufacturing. The services sector has increased almost twofold in Russia since 1991. This applies to the private sector of the economy: retail and wholesale trading, food services, hotel management and tourism, vehicle maintenance, private medical care, communications, public information services, and so on. In the public services sector—public healthcare, science and education, sport and physical education, housing and public utilities, the public road system—fixed assets have declined, but not as much as in industry. In Soviet times, there was a disproportion: an emphasis on heavy industry alongside underdeveloped service and consumer sectors. Now we see the hypetrophied growth of commercial services and the underdevelopment of the economy’s investment sector. How has GDP’s performance fluctuated during this period, according to your calculations? We have still not reached the level of 1991 in comparable prices, whereas Rosstat shows a surplus of 13%. However, in the 1990s, Rosstat even undervalued the drop in GDP a bit, because it gave insufficient weight to the gray economy. GDP was greater in the 1990s than Rosstat has claimed. On the other hand, from 1998 to 2007, the official figures greatly exaggerated the growth in GDP: 82%. According to our figures, growth amounted to only 48%. The upsurge in the early noughties, aside from a rise in the oil price, was due to the use of the reserve production capacity and manpower that had formed in the 1990s. By 2007, however, these growth opportunities had been tapped out. Stagnation and then a decline in economic growth inevitably had to set in. Which was what happened. And things are also not kosher with the official inflation estimates? Exactly. The underestimation of inflation levels is determined, albeit roughly, by the difference between Rosstat’s GDP performance stats and ours. This difference amounts annually to around two percentage points. Instead of 5% per year, say, it amounts to 7%. Why do we need to calculate inflation accurately? It affects social spending by the state: pensions, benefits, and all other payments that the state should index for inflation. And besides, there are the state’s investment costs, which have to account for inflation. But if accurate figures do not exist, then there is not enough money for new projects, which happens quite often. Have foreign experts provided more accurate assessments of the state of the Russian economy? No, they have all been mistaken, because they used Rosstat’s figures for their estimates. In the 1990s, they thought that since Rosstat had switched to international standards, they would not need to recalculate anything. On the other hand, the World Bank monitors two hundred countries, and it is simply physically incapable of recalculating the data for every country’s economy. You have claimed that workforce productivity in Russian is lower than in developed countries, by five to seven times, or even ten times. What is the basis for these estimates? There are two types of economists: macroeconomists and industrial economists. And there are methods of estimating workforce productivity. The first focus on price indicators, while the second focus on non-monetary indicators. The first calculation is often wrong due to the dubiousness of the ruble-to-dollar conversion factors. But you can use non-monetary indicators for certain industries, and then you obtain different outcomes. For example, petroleum production. Divide the volume of production by the number of people employed in the industry, and you get output per worker. You can do the same thing with metallurgy, machine building, agriculture, and all industries, and then compare them with other countries. That was how we got the outcome about which we wrote to you. The estimate was derived from numerous Russian industry publications. How do you assess the state of human capital in Russia? We suffered huge demographic losses in the twentieth century through wars, purges, famine, emigration. According to my estimates, we lost between 70 and 80 million people. Moreover, the losses affected the intellectual segment of the populace more: such people were more likely to die in wars and more likely to emigrate. Three of the four living Russian Nobel Prize winners work abroad. Add to that the degradation of secondary and higher education that has been observed since the 1970s. Plus the stupefaction of the populace by the media, especially the electronic media. I go to our library in Novosibirsk, one of the largest libraries in Russia. The reading roooms are nearly empty: there are more librarians there than readers. Recently, I visited the Bavarian State Library. Tears welled up in my eyes. I saw an enormous reading room, nearly a kilometer long, chockablock with people. If you go into our main bookstore in Novosibirsk you’ll find ten to fifteen shoppers, while in Munich they have a seven-storey bookstore. There are something like two hundred people people browsing the shelves, picking out books, sitting on couches, sipping coffee, and chatting. Can we bridge the gap with the developed countries? Bridging the gap is unthinkable. Imagine you are standing at the starting line, and your competitors have taken off and have a five-kilometer headstart on you. The government relies on erroneous economic data and underestimates the depth of problems. The illusion is generated that economic recovery is possible without serious costs. We have estimated that, in terms of 2015 prices, 14.6 trillion rubles in investments would be required to maintain fixed assets and grow them by 3%. Plus, we would need 900 billion rubles for working capital. To develop human capital—education, healthcare, research—we would have to invest 10.3 trillion rubles. This would amount to 25.8 trillion rubles a year, which is a third of Russia’s annual GDP. It’s possible to narrow the gap. To do this, we would have to redistribute incomes to physical and human capital, and to the neediest segments of the populace. But even that would require enormous efforts. We could, for example, redistribute incomes to narrow the social differentiation among decile groups from the current ratio of 30:1 to 6:1, that is, the figure that exists in most Western European countries. But this would all take many years to accomplish. Ogonyok asked Rosstat to comment on the divergence in key economic development indicators for Russia. We are waiting for a response to this request. 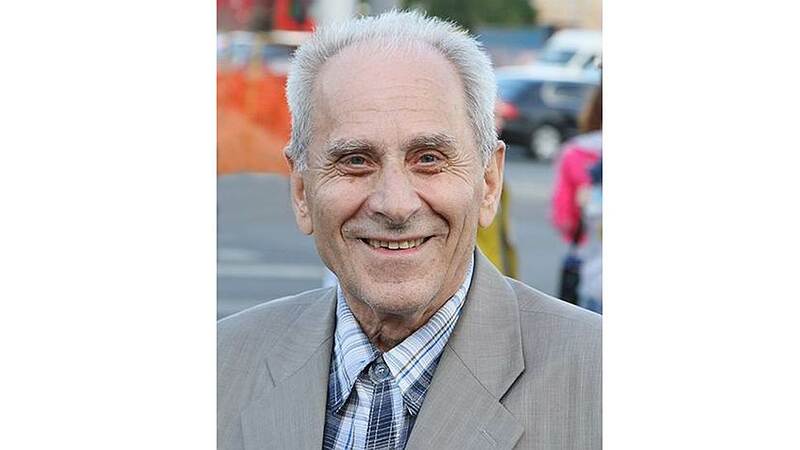 Grigory Hanin finished graduate school at the Leningrad Finance and Economic Institute in 1962, and then worked at Novosibirsk State University. In 1968, he successfully defended his candidate’s dissertation, but the Higher Attestation Commission (VAK) refused to approve it due to its “market-based approach.” In 1972, Hanin was dismissed from the university for his dissenting views on the economy, which were, allegedly, “negatively affecting” students in the economics department. Hanin could not be expelled from academics, however. He successfully defended his candidate’s dissertation at the Institute of World Economy and International Relations of the Russian Academy of Sciences (IMEMO RAN), and then his doctor’s dissertation at the Central Economic and Mathematical Institute of the Russian Academy of Sciences (TsEMI RAN). Hanin did research on alternative macroeconomic estimates of the Soviet economy. In 1987, Hanin and journalist Vasily Selyunin published the famous article “Tricky Numbers” in the journal Novy Mir, causing a huge public outcry. Hanin is currently a professor at RANEPA’s Siberian Institute of Management, where he researches recent Russian economic history.